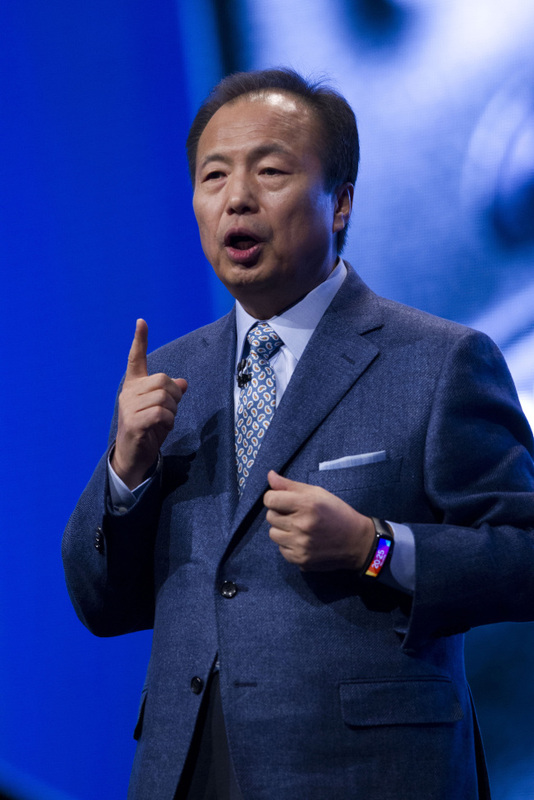 Shin Jong-kyun, the chief executive of Samsung Electronics’ mobile business unit, was the highest-paid CEO in Korea in the first half of 2014, according to a report released by local corporate researcher Chaebul.com on Sunday. The report showed that around 190 corporate executives received over 500 million won in the first half of this year. Shin topped the list with an income of 11.3 billion won ($11 million) over the first six months of the year. Kwon Oh-hyun, chief executive of the tech firm’s device solutions division, came second with 5.4 billion won, followed by Chang Sang-don, chairman of Korea Iron and Steel, who earned 5.3 billion won. Shin’s thick paycheck consisted of 864 million won in salary, 1.4 billion won in incentives and 9.1 billion won in special bonuses and other benefits. He earned 1.68 billion won in the second quarter alone, down by 83 percent from 9.66 billion in the first quarter. In the first quarter, Shin received a batch of special incentives for the company’s high business performance last year. High-profile business moguls including Hyundai Motor Group chairman Chung Mong-koo (who earned 4.9 billion won), LS Group chairman Koo Cha-yol (4.8 billion won) and former POSCO chairman Chung Joon-yang (4 billion won) made the top 10 list. Registered executives whose annual paycheck exceeds 500 million won must disclose their payments in regulatory filings. Meanwhile, the richest Korean, Samsung Group chairman Lee Kun-hee, and his son Jay-yong are not obligated to disclose their pay since they are unregistered executives of the conglomerate.